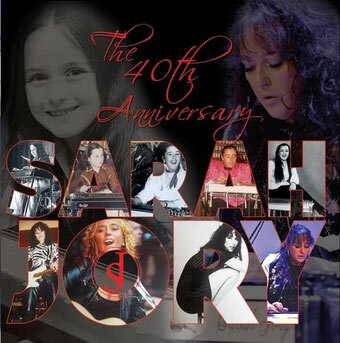 New CD is here, celebrating 40 years in the music business! Sarah's Backing Tracks are available on the store. Sarah has recently recorded with one of the world’s most esteemed orchestras The Royal Philharmonic. The RPO has recorded some bold symphonic reinterpretations of 70’s melodic rock favourite Rumours by Fleetwood Mac and the album, featuring Sarah as a special guest, is available now. Rumours has sold over a billion copies and is one of rock’s most classic LPs. This release marks the first time the RPO has taken on an entire album in its entirety. Around 50+ musicians who comprised the orchestra were aided by superb arrangers James Graydon and Richard Cottle with special guest appearances by Sarah and Peter Frampton. The album is currently available via Amazon, iTunes and other major retailers.